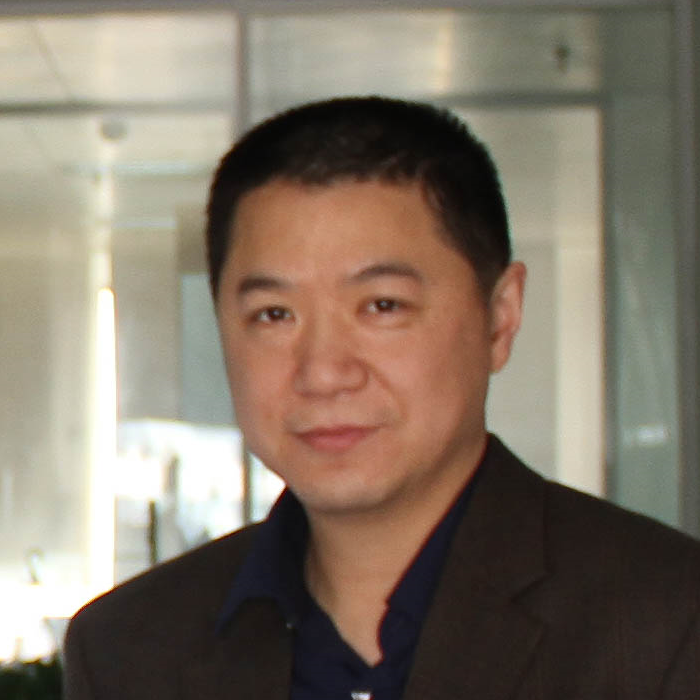 BHD Researcher Interview: Dr Yu Jiang is an associate professor at the University of Pittsburgh. Dr Jiang is interested in how folliculin acts at the primary cilium and its role in mTOR signalling and other oncogenic pathways. My laboratory has been studying mammalian target of rapamycin (mTOR) and its role in tumorigenesis for many years. The product of the BHD gene, folliculin, has long been implicated in regulating mTOR signalling. However, this tumor suppressor appears to act in a unique way in controlling mTOR that differs from other known tumor suppressors. We initiated our study in BHD research by screening for proteins that interacted with folliculin. The screen led to the identification of KIF3A as a folliculin interacting protein. KIF3A is a subunit of the motor protein kinesin-2, which functions in primary cilia, a unique cellular organelle that exists only in quiescent noncycling cells. This finding prompted us to hypothesize that folliculin elicits its anti-proliferative function by preventing quiescent resting cells from entering cell cycle. We are currently studying whether the ciliary location of folliculin is essential for its tumor suppressor activity and how folliculin acts through primary cilia to repress mTOR and other oncogenic pathways in quiescent cells. As a new comer in BHD research, we feel there are a lot of techniques we need to learn. However, I expect that the greatest help for our research may come from collaborations with many well established laboratories in the field. We are particularly interested in the development of animal models for BHD and genome-wide analysis of cancer cells bearing mutations in the BHD gene. These recent advances will likely shed light on to the mechanisms that affect the progress of BHD. There are many excellent publications in BHD related study that are instrumental for our study. We have been building up our hypotheses and research plans based on the information in these publications. We are currently studying the mechanisms by which folliculin regulates several oncogenic pathways with an emphasis on the action of folliculin in ciliary signalling. The short term goal for us is to elucidate the signalling mechanism of folliculin in its anti-proliferative function and identify druggable targets for treatment of BHD. Our long term goal is to develop therapeutic agents that benefit BHD patients. With current advances in Next-Generation sequencing and gene editing technology, we will be able to identify factors that contribute to the pathophysiologic conditions of BHD and identify potential therapeutic targets for treatment of BHD. My favourite book is the Immense Journey by Loren Eiseley. I love pop music and my favourite band is Of Monster and Man. But I cannot remember when was my last time sitting in a movie theatre. Sleep well no matter what happens. Throughout my career in research, I have met many scientists who are fabulous in many different ways, not just in research. These are the people who make research a fun career. BHD Personal Story: Tracy is from the USA and was diagnosed with BHD in 2012. I was clinically diagnosed in October 2012 by a dermatologist who then referred me to a genetic counselor. I was tested in early April 2013 and genetically diagnosed later that month. Over the last decade, I started noticing more “bumps” on my face. I had just learned that my uncle had undergone some laser treatment on his face and realized that my appearance was very similar to his and that of my grandfather, my father and others in my family. I made an appointment with a local dermatologist who treated me for about 8 months with no improvement. He referred me to another dermatologist, who recognized that the appearance of my skin could be a result of BHD. The initial diagnosis was a little shocking, something I never expected and had never heard of. My first thoughts went straight to my 3 children and how this might affect them now and in the future. However, very quickly, I began researching and reading everything I could about the syndrome. Once I realized that it was nothing to be scared of I started my proactive care. I made an appointment to share the information with my general practitioner who then ordered the appropriate scans so that we would have a baseline of my condition. Yes, I am not a private person and feel that it is our responsibility to share information with others so that they can make decisions about their personal lives. I shared our family medical history, by developing a “family tree” of medical symptoms presented in our family, as well as my genetic testing information and also directed them to bhdsyndrome.org website, so that they could begin their own research. At first, I thought that every family member would be interested in knowing whether or not the syndrome affected them. I quickly learned that not everyone wants to know if they might be affected and some of them have no interest in getting tested. I can’t imagine not wanting to know, especially since there are scans that can be done to detect any abnormalities with the kidneys at a very early stage. However, that is not my decision to make. I did my job of providing my family members with the information and each individual person must decide for themselves what is best for them. I personally think it is much better to be prepared and have options to treatment than not know and possibly develop cancer that leads to additional problems. At the time of my diagnosis, my children were 16 (twins) and 13. Although I was open with them, I did not go into great medical detail. I explained the basics and that when they were 18 they could decide if and when they wanted to be tested. My father was tested within a month after I was diagnosed and was also found to be positive. My sister tested negative, so that was a relief for her as well as her four children. My husband and I communicate often about it and he is supportive of “my journey” with this syndrome. I recently participated in a BHD conference in New York. I attended with my mother, who supports my dad on his journey. I have a genetic counselor at Vanderbilt University who is great. I meet with her occasionally (about once a year) to discuss new studies and related information; however, I am often helping her understand more about it with my own research and experiences. I also have found information on bhdsyndrome.org to be very valuable. This is a website that I know I can trust for research based information and not just the opinions of others who might give misleading information. The internet is a useful tool; however, you cannot always trust what you read. I also am a member of a closed support group on facebook, which is nice for communicating with others who are affected by the syndrome and to bounce thoughts, ideas and concerns off them. I do keep in mind that these are “real people”, just like me. We are not doctors and should not try and diagnose each other, but it is good to share thoughts and experiences with others. Early in my diagnosis, I was seen at NIH, which provided me with a lot of good information. If you suspect you have BHD, don’t be afraid of the diagnosis. Yearly kidney scans cannot prevent kidney cysts/tumours from appearing, but the scans can help determine when the necessary medical care will be needed. Also, it is important to understand signs/symptoms of a spontaneous pneumothorax, so that you know what to do in the event of this happening. A diagnosis is only a means to be better informed and prepare you to be your own advocate for your health care. Absolutely not. My children are now 19 (the twins) and 16. The twins have been tested and are both negative. My youngest son and I talked about it this past summer and discussed his testing. He plans to be tested when he turns 18. I would not discourage anyone from having a family because of this syndrome. Most people live an average life expectancy or beyond. Other than a few symptoms, which can be taken care of with proper monitoring, we can live a very normal lifestyle, with very minimal restrictions. I highly recommend genetic counselling as a means of staying connected with someone who can keep you informed, as well as someone who can provided recommendations for you along the journey. Be knowledgeable. Knowledge is power and can help you make informed decisions. Understanding how to monitor the symptoms of this syndrome and how to seek care is very important. When I was initially diagnosed, it was because of my facial bumps, which are called fibrofolliculomas. I probably have hundreds on my face and neck. Although they are not very cosmetically appealing, they are harmless. I found a good make-up and am not really self-conscious about them at this point. I have had one chest scan which showed several cysts/blebs in both lungs, however, I have never had a spontaneous pneumothorax. I do have several family members who have experienced this and I am confident that I will know the signs/symptoms if this does happen to me. Because of my research and knowledge about the syndrome, I will be well prepared to alert the medical staff of my condition. I have yearly MRIs with contrast to look at my kidneys. I currently have two cysts on my left kidney which will continue to be monitored for growth and changes. I haven’t had any treatment related to BHD, only scans in order to be proactive with my medical care. I am currently seeing a retina specialist at Vanderbilt for an eye condition, AZOOR (also a rare condition), thought to be totally unrelated to BHD. I am currently seeing a doctor for a suspected lipoma, which again is not necessarily directly related to BHD. I was referred to a genetic counselor, by a dermatologist. I continue to see my general practitioner and if something “odd” with my medical condition comes up, I always get the opinion of my genetic counselor of where to go/who to see. My experience has been a good one. I think when they see you are well prepared and have researched and can present them with facts, they are open to listening and find it very interesting. For many that I have been involved with, it has given them something new to research. They are a few doctors, who might say something like “There’s no way that can be related to BHD”. Perhaps they are right; however, I don’t believe in immediately ruling something out, unless you know all the facts and BHD is so rare and so few symptoms have been reported, I think it is immature to rule out other possible symptoms that could be associated with BHD. Not really. I did have to fight to have the genetic testing covered by insurance, but once they received the proper documentation from the doctor that it was medically necessary the testing was covered. All of my scans have been covered without question. My future is bright. I am not scared or nervous, because I am prepared. I do think about BHD almost on a daily basis, but not in a bad way. I’m always eager to learn more and find out how I can continue to be more informed. I like reading new studies and journals about the possibilities of other symptoms or treatments associated with BHD. Read, talk, learn, communicate with others who have similar experiences with BHD and be open with those around you. Be informed. Talk to your local doctor and make decisions together.